Adding an awning to your bar’s patio can help with your business’s visibility as well as expanding your seating area! Bars are known for having two things: liquor and a dark atmosphere. But why not make your bar stand out from the crowd. As the weather turns cooler and summer begins to fade into autumn, there isn’t a better time to think about expanding your bar’s space to the great outdoors. 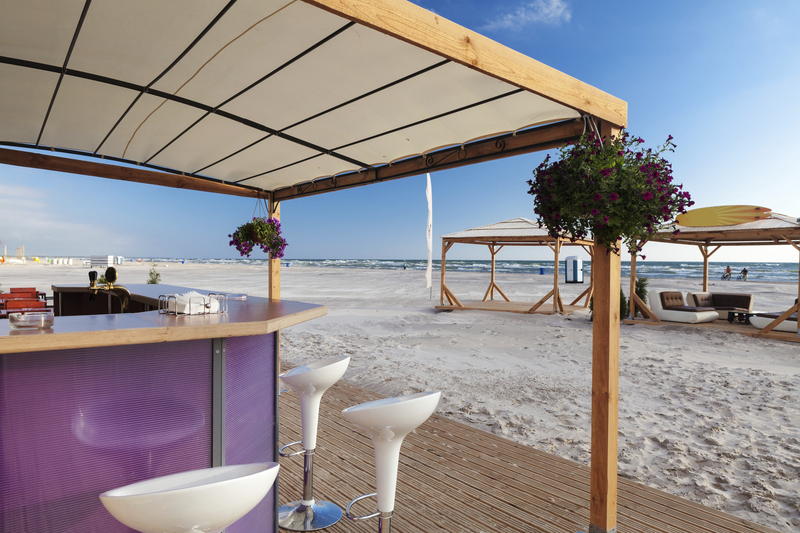 Why should you purchase a commercial awning for your bar? We’ll, let’s talk about the benefits! When it comes to visibility, awnings can only help your business. You may love your quaint “Cheers” atmosphere, who wouldn’t want their business to grow and become well known by people all over the city? An awning will not only draw people to your bar, but it will help increase advertising! People love to go where other people are laughing and having a good time. So when people are sitting outside on your terrace, sitting under your awning, and enjoying a cool beverage, there is nothing better to advertise your business. Our awnings are even available to have your logo printed on them to help you advertise even more. During the hot mid-Atlantic summers, your bar will be shaded. Did you know that awnings can actually lower the temperature inside your business up to 15 degrees? Think of all the money you will save on your heating and air conditioning bills! While sitting outside in the sweltering sun is not exacting ideal for most people, mid-Atlantic summers spent in the shade are ideal for people who want to enjoy from fresh air and a cool beverage. Your patio can be kept open during all types of weather with a waterproof awning from Carroll Awning. Your patrons will enjoy sitting out enjoying the change of the seasons from a comfortable chair. Installing a new custom awning to your bar will not only refresh the way people see your bar, but will also draw in new patrons. Let your customers enjoy the weather and your beverages in style with a custom made commercial awning! For more information on designing and installing your new custom awning, call your Carroll Awning representative today.